An insider’s account that goes well beyond traditional guidebooks, this book reflects on the diversity of the modern city as well as its renowned literary and historical heritage. Bath, Queen of the West, is internationally famous as one of England’s oldest and most beautiful cities. The picturesque setting in the Avon valley, surrounded by green hills knit town and country together. The hot mineral springs welling up from deep within the earth have given it unique advantages as a health and leisure resort.The Romans called the city Aquae Sulis, and below the modern city are the important Roman Baths, one of England’s top tourist attractions. In medieval times a great abbey grew up here, a centre of scholarship as well as religion. Bath was an important Cotswold weaving centre before becoming a great Georgian spa city. As ‘taking the waters’ became an increasingly attractive leisure activity for visitors, a number of charity hospitals grew up around the hot springs. Then in the eighteenth century, great men such as Beau Nash the Master of Ceremonies and John Wood the architect transformed Bath into the grand Georgian city which we know today. Writers such as Henry Fielding and Jane Austen, and artists such as Thomas Gainsborough, settled in Bath.John Payne reflects on the diversity of the modern city, where industry, sport and shopping take their place alongside tourism and heritage. He considers the continuing importance of religious faith in the city and the contribution to Bath’s cultural life made by its two universities and the many festivals, of which the winter Literature Festival and the springtime Bath International Music Festival are just two. 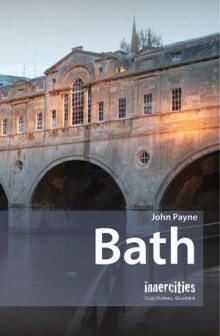 Like all cities, Bath changes through time, and this book looks at recent developments such as the superb new spa centre, Thermae Bath Spa, and the modernist extension to the Holburne Museum of Fine Art. An insider account that goes beyond the well-trodden city centre, it includes Bath’s attractive urban villages, such as Weston (a favourite walk of Jane Austen) and Combe Down with its stone quarries and Jewish burial ground. John Payne is the author of books on Catalonia and the English West Country. Born in Bath, he lives at Frome in Somerset.